If your child is entitled to free transport to and from the College, this will be arranged by College Admin, through either our own drivers or an outside taxi company. 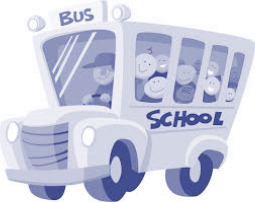 Please ensure that your child is ready for collection, if they are late, this impacts on other pupils who are using the same transport, thus making them all late for the start of their College day. For primary pupils, we ask you to make sure that someone is at home to receive him/her after each session. Please do not ask the driver to make any changes to the transport arrangements; any such requests should be made through the College. Also any information about your child that the College should be aware of should not be relayed via the drivers – please call us direct to speak to the relevant member of staff. Please note: The taxi company does not solely work for the College and have their own taxi runs to do which they fit around our requests. Because of this you cannot request a certain driver. Your child will, of course, not be in a taxi with anyone other than fellow pupils and the driver. Please inform the College on 0118 334 1510 if there are any occasions when transport is not required, for example illness or medical appointments. All drivers (and chaperones when used) are DBS checked and badged by an appropriate authority, and all vehicles are suitably licensed for this work. If you have any concerns regarding transport arrangements, please telephone the College on 0118 334 1510.